Natural Herbs For Diabetes: 5 Natural Remedies For Diabetes That Work! Natural herbs for diabetes have been a hot topic for as long as I can remember. It only makes sense when you consider that some of the most used drugs come from natural substances like herbs or a tree bark or something like that. Type 2 diabetes is a lifestyle disease. .. When your pancreas slows down and there are a number of other defects that start to affect your body, your ability to regulate sugar effectively decreases. It all starts with what you eat and your level of activity. Sedentary lifestyles with a poor diet tend to cause diabetes and make diabetes worse over time. In this article, I’m going to share with you 5 little-known natural herbs for diabetes. All of these are based on science from real clinical trials with references below. I will also share with you studies to back them up, and some recommended products. But before I get to it, I’m not a doctor and don’t know your medical situation, so prior to using any of this information consult with your physician. And I’m not associated with any of these products that I may provide here, I just thought it would be easier for you to take action if I provided some product. Nigella sativa also called black seed or black cumin is an annual flowering plant native to parts of Asia. Results from 2 human trials, showed that Black seed oil significant decreased fasting blood glucose and A1C levels in Black seed oil treated patients as compared to the control group. No notable liver, kidney or gastrointestinal side effects were observed in the study with black seed oil. The study concluded that administering 5 ml of Black seed oil daily for two months had beneficial effects on improving glycemic profile without any adverse effects. For best results use the recommended serving size on product label. Artemisia herba-alba (white wormwood) is a shrub grown in Mediterranean regions of North Africa, Western Asia and Southwest Europe. It is most commonly used as an antiseptic and antispasmodic in herbal medicine. In a small study involving fifteen patients with diabetes mellitus, treated with Artemisia herba-alba extract (AHE), results showed that AHE caused considerable lowering of elevated blood sugar and 14 out of 15 patients had reduced diabetic symptoms.. This study concluded that AHE contains compounds that act to reduce blood sugar in patients with diabetes mellitus. For serving information use as directed on product label. 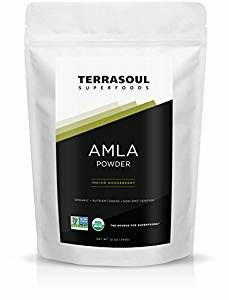 Amla or Indian gooseberry is one of the most powerful foods in ayurvedic medicine, and has been associated with many health benefits for numerous medical conditions. Significant decreases were also observed in total cholesterol and triglycerides in both normal and diabetic volunteers on day 21 that were given either 2 or 3 g of Amla powder per day. Chamomile tea made from dried chamomile flowers and hot water, has been used to treat numerous health conditions ranging from gastrointestinal disorders to hay fever and psoriasis, and is known as a digestive relaxant. In a single-blind randomized controlled clinical trial, conducted on 64 individuals with type 2 diabetes (males and females) aged between 30 and 60 years, the intervention group (n = 32) consumed chamomile tea (3 g/150 mL hot water) three times per day immediately after meals for 8 weeks. 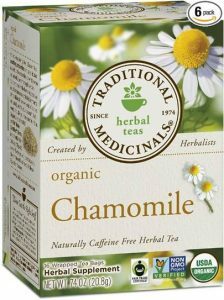 Chamomile tea significantly decreased A1C, serum insulin levels, homeostatic model assessment for insulin resistance, total cholesterol, triglyceride, and low-density lipoprotein cholesterol compared with control group. The young leaves of the guava tree have been brewed to make tea in parts of Mexico and South America for centuries as traditional medicine. The natural compounds of guava leaves have been shown to be effective at improving a number of medical conditions. 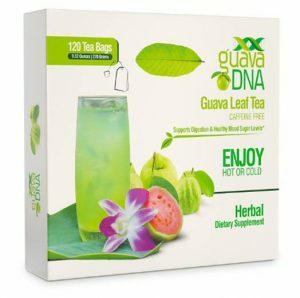 In a crossover study designed to evaluate the effects of a single ingestion of Guava Leaf Tea on postprandial blood glucose levels in normal and pre-diabetic subjects, the single ingestion of Guava Leaf Tea was found to significantly reduce postprandial blood glucose elevation at 30, 90 and 120 min. In addition, the Area Under the Curve (AUC) of the glucose levels after carbohydrate loading (ingestion of cooked rice) was significantly reduced by about 20% compared to the control group. With these natural herbs it is important to test your blood sugar for yourself. Not all of them work for everyone. We’re all different. You have to test for yourself to know for sure. Start with one at at time to determine their efficacy and how your body responds to it. Also, some medicinal herbs can be toxic if not taken the right way. While these 5 natural herbs for diabetes can be effective for some, for others they might not work because each of our bodies is different. That is why I’d like to share with you an even better resource for natural remedies for type 2 diabetes. I’d like to share a breakthrough for lowering blood sugar naturally. This product is amazing and expands on this information with clinically proven information shown to help lower your blood sugar. There isn’t a more thorough natural resources for controlling your blood sugar anywhere else.